The National Council of La Raza (NCLR) has received criticism in the past for being too exclusive, or not inclusive enough of non-Hispanics. Jessica Mayorga knows a different reality. Hispanic Executive sits down with Mayorga to hear about her work with nonprofit NCLR. She opens up about the council’s role in the 2016 elections, and key issues the group will tackle in the near future. HE: Why should people across the nation know about NCLR? JM: Too many people don’t know what we stand for, where we’re going, or how we provide a voice for Latinos on the national stage. We have critical initiatives in education, health, immigration, and so much more. It’s highly important to engage with communities and remind families that we serve as an extension of their voice. We help Latino families by making sure they are provided equal opportunity and treated fairly. We’re constantly addressing new issues and needs and making partnerships that directly benefit our community. How is NCLR’s visibility expanding? We have three signature events each year (the NCLR Annual Conference and National Latino Family Expo, the NCLR Capital Awards, and the ALMA Awards). These events really help the general public understand what we do. We bring thought leaders together who want to be part of important national dialogues. At our conference, we have town halls where we tackle major issues in health, education, the economy, and more. We want NCLR to become a household name. Our events are wonderful vehicles to connect with communities. What about expanding NCLR’s digital presence? At our 2014 conference, we unveiled Immigo, a mobile app we created in partnership with the Verizon Foundation to provide nonprofits and other users with information about the immigration process. The app will provide trusted information to people who want and need it. How has Janet Murguía’s tenure as president and CEO of NCLR shaped the organization? 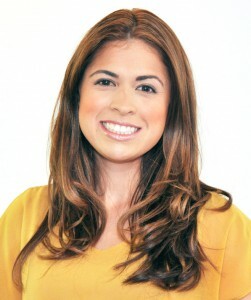 She takes issues to heart, and it’s easy to see why she is widely considered the voice of the Latino community. She reminds us on a regular basis that NCLR is not just an organization. It’s a cause. It’s shaping our future. 2015 will celebrate Janet’s 10-year anniversary with NCLR, so it’s fitting that the annual conference will be held in her hometown of Kansas City, Missouri. A homecoming is a wonderful way to celebrate 10 years of her leadership. NCLR keeps an extensive and up-to-date Web page on the latest news and statistics regarding immigration reform. Why is this important? It’s a timely issue that has a great impact on families—Latinos and non-Latinos alike—and our nation. We consider it to be the issue of our time. The more information we can share about immigration reform and our stance, the more people will understand why it’s important. Will immigration be the biggest topic discussed at the next annual conference? It will continue to be a key issue. The most prevalent themes and topics for our conference can vary depending on current legislative, political, and cultural events. We expect that immigration reform and progress in congress will continue to be a theme discussed and woven into our workshops and general sessions. Will NCLR play a major role in the 2016 elections? We expect to play a major role in fostering civic engagement, voter registration, and get-out-the-vote efforts. In 2012 we launched the Mobilize to Vote campaign, and we registered great numbers of Latinos to vote. We are positioned to make a significant difference again in 2016.